Does That Mean Biden Will Begin? 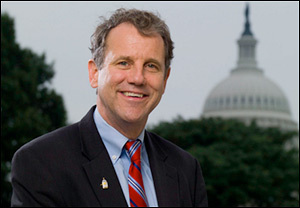 March 11, 2019 — Ohio Sen. Sherrod Brown, another of the potential Democratic presidential candidates who most observers thought would enter the race, is not. His announcement late last week was a bit surprising considering his home state with 136 first-ballot delegates and 153 overall (the seventh largest state delegation at the Democratic National Convention) moved the primary to March 10, partially with the idea of giving him a boost. Sen. Brown’s decision provides us a clue as to what else may happen, however. 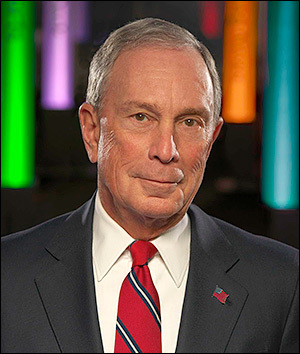 He, like former New York City Mayor Michael Bloomberg, basically said the reason for not becoming a candidate is that the victory path is not evident. The underlying conclusion is they obviously believe former Vice President Joe Biden will enter the race. Though all three men (Biden, Bloomberg, and Brown) certainly must be considered liberals on the ideological scale, they are not part of the far-left faction that Sens. Bernie Sanders, Kamala Harris, Elizabeth Warren, Cory Booker, and others are attempting to attract. 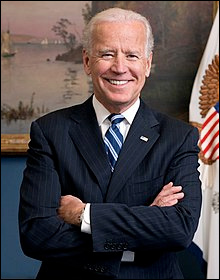 Therefore, if the Bloomberg and Brown paths are blocked, then it is Biden who is their most formidable impediment. If the former vice president and Delaware senator enters the race, and some say he will do so early next month, is he a lock for the nomination? 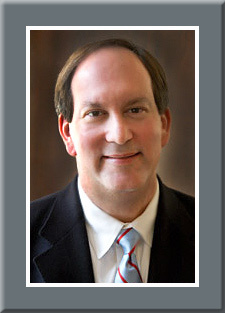 Polling indicates he would jump to the top of the current heap but would be nowhere close to the majority of delegate votes required to win the nomination on the first convention ballot. In four late February national polls of likely Democratic primary voters, Biden tops them all but with preference percentages of 27, 30, 29, and 31 – hardly dominating numbers. Declared presidential candidate, Democrat Sen. Kamala Harris of California. 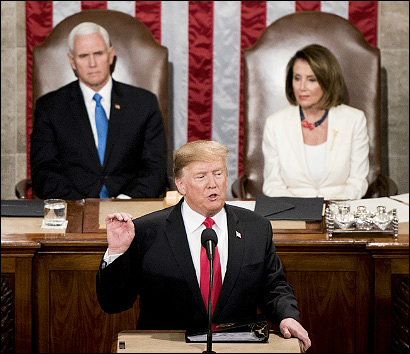 Feb. 19, 2019 — A new Change Research poll was just released of the California Democratic presidential electorate and should former Vice President Joe Biden enter the race, he apparently would fare quite well in Sen. Kamala Harris’ home state. According to the survey (Feb. 9-11; 948 likely California Democratic presidential primary voters) Biden and Sen. Harris would actually tie at 26 percent apiece. Sen. Bernie Sanders (I-D/VT) closely trails with 20 percent. Considering the delegate proportionality rules, the two men would score a handsome number of committed delegates in Sen. Harris’ own backyard if this poll happens to correctly predict what could happen a year from now. California is projected to send 495 delegates to the July 2020 Democratic National Convention, the largest contingent from any state. 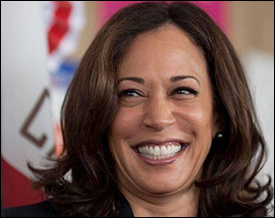 If Sen. Harris is to become a first-tier presidential candidate, she will have to reap a major delegate bounty in her home domain. Thus, merely breaking even with Mr. Biden would certainly be considered a disappointment in her quest for the nomination. The rest of the field trails badly. No one, aside from the top three, even breaks into double-digits. In this survey, former Rep. Beto O’Rourke (D-TX) is fourth with eight percent, followed by Massachusetts Sen. Elizabeth Warren who posts a paltry seven percent, ahead of Sen. Cory Booker (D-NJ) with three percent, while former Housing & Urban Development secretary Julian Castro holds a two percent preference.